As the island is largely developed in tourism, things to do in Skiathos are many. Many beaches on the southern side of the island have watersports centers with fun games, ranging from banana slides to paragliding and waterski. Some diving centers have also opened on the island that offer courses and diving trips to close islands or to the neighboring coasts of Pelion. The lush countryside of Skiathos island offers great chances for hiking. Old footpaths cross the island, leading to secluded beaches, old monasteries and hilltops with great view to the Aegean Sea. There is even a horse riding center in Skiathos that offers riding tours to the countryside or along the coasts. 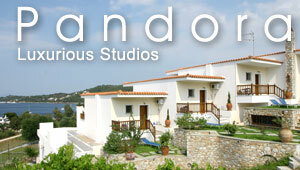 Want to discover more about Skiathos? Discover the island of Skopelos on a beautiful catamaran. Here are some diving centers in Skiathos, an island with interesting reefs and sea caves. ere are some horse riding centers in Skiathos to enjoy a ride in the forest or at the beach. The beaches of Skiathos offer many watersports centers with fun games. There are some all night clubs on the island mostly located in town.